NY PRICING AT THE EXACT SAME TIME: $1244.10??? NOTICES FILINGS TODAY FOR APRIL CONTRACT MONTH: 30 NOTICE(S) FOR 3000 OZ. In silver, the total open interest SURPRISINGLY FELL BY ONLY 1895 contract(s) DOWN to 200,885 DESPITE THE FALL IN PRICE OF SILVER THAT TOOK PLACE WITH YESTERDAY’S TRADING (DOWN 16 CENT(S). BUT MORE IMPORTANT WE HAVE NOT WITNESSED ANY OBLITERATION OF OPEN INTEREST AS WE ENTERED FIRST DAY NOTICE IN THE ACTIVE SILVER COMEX MONTH OF JULY. AS AN EXAMPLE, AS WE APPROACHED THE ACTIVE MONTH OF MAY WE HAD OBLITERATION OF AROUND 7,000 CONTRACTS ON EACH OF THE LAST 3 DAYS BEFORE ENTERING FIRST DAY NOTICE. In ounces, the OI is still represented by just OVER 1 BILLION oz i.e. 1.0040 BILLION TO BE EXACT or 144% of annual global silver production (ex Russia & ex China). In gold, the total comex gold SURPRISINGLY ROSE BY 116 CONTRACTS DESPITE THE FALL IN THE PRICE OF GOLD ($3.30 with YESTERDAY’S TRADING). The total gold OI stands at 452,684 contracts. we had 30 notice(s) filed upon for 3000 oz of gold. 1. Today, we had the open interest in silver FELL BY ONLY 1895 contracts DOWN TO 200,885 (AND now A LITTLE FURTHER FROM THE NEW COMEX RECORD SET ON FRIDAY/APRIL 21/2017 AT 234,787), WITH THE FALL IN PRICE FOR SILVER WITH YESTERDAY’S TRADING (DOWN 16 CENTS).We LOST A FEW AS JUST ABOUT EVERYBODY ELSE remains firm and determined. WE NORMALLY LOSE ABOUT 7,000 CONTACTS PER DAY ON THE LAST 3 DAYS AS WE ENTER FIRST DAY NOTICE OF AN ACTIVE MONTH WHETHER GOLD OR SILVER. IT DID NOT HAPPEN IN JULY!! The Eurozone inflation numbers beat expectation of 1.3% from May’s 1.4% but ahead of consensus 1.2%. The bankers are always trying to inflate themselves out of their mess. One of the best articles I have seen on the Qatari issue. The real contention is not that Qatar is supporting terrorism but that fact that Qatar has no choice but to face east and supply China with their huge gas fields. China is paying Iran in yuan for oil so it is understandable why the USA is extremely worried. The petrodollar scheme just got a knife thrown into its heart. vii)Soft data U. of Michigan Consumer Confidence slips to 7 month lows..hope fades.. The total gold comex open interest SURPRISINGLY ROSE BY 116 CONTRACTS UP to an OI level of 452,684 DESPITE THE FALL IN THE PRICE OF GOLD ($3.30 with YESTERDAY’S trading). An open interest of around 390,000 to 400,000 is core and nothing will move these guys from their contracts. We are now in the contract month of JULY and it is one of the POORER delivery months of the year. . The non active July contract LOST 204 contracts to stand at 146 contracts.Thus by definition this is the amount of gold standing initially in July: 146 contracts x 100 oz per contract = 14,600 oz or.4541 tonnes. The next big active month is August and here the OI LOST 3,796 contracts DOWN to 294,309, as the bankers trying to keep this month down to manageable size. The next active delivery month is October and here we gained 337 contracts up to 16,252. October is the poorest of the active gold delivery months as most players move right to December. And now for the wild silver comex results. Total silver OI FELL BY ONLY 1895 contracts FROM 202,779 DOWN TO 200,885 DESPITE YESTERDAY’S 16 CENT LOSS. OUR BANKER FRIENDS ARE DESPERATELY TRYING TO COVER THEIR SHORTS IN SILVER BUT AS YOU CAN SEE THEY HAVE NOT BEEN AS SUCCESSFUL AS THEY WOULD HAVE LIKED. THE BIG NEWS IS THE FACT THAT WE ENTERED FIRST DAY NOTICE AND WE HARDLY HAD ANY OBLITERATION OF OPEN INTEREST. THIS IS THE FIRST TIME THIS HAS HAPPENED IN OVER 2 YEARS. The month of August, a non active month picked up 22 contracts to stand at 432. The next big active delivery month for silver will be September and here the OI already jumped by another 7,021 contracts up to 152,221. Final standing JULY 2016: 12.370 million with the difference being EFP’s taking delivery in London. Thus we are basically on par to what happened a year ago as to the total amount of silver ounces standing. i Out of the Delaware vault: 2800.000 oz was adjusted out of the customer and this landed into the dealer account of Delaware. THIS IS EXACT WEIGHT/HOW COULD THIS BE POSSIBLE!! Today, 0 notice(s) were issued from JPMorgan dealer account and 12 notices were issued from their client or customer account. The total of all issuance by all participants equates to 30 contract(s) of which 0 notices were stopped (received) by j.P. Morgan dealer and 0 notice(s) was (were) stopped/ Received) by j.P.Morgan customer account. To calculate the initial total number of gold ounces standing for the JULY. contract month, we take the total number of notices filed so far for the month (30) x 100 oz or 3,000 oz, to which we add the difference between the open interest for the front month of JUNE (146 contracts) minus the number of notices served upon today (30) x 100 oz per contract equals 14,600 oz, the number of ounces standing in this NON active month of JULY. Thus the INITIAL standings for silver for the JULY contract month: 878 (notices served so far)x 5000 oz + OI for front month of JUNE. (2423 ) -number of notices served upon today (878)x 5000 oz equals 12,115,000 oz of silver standing for the JULY contract month. YESTERDAY’S CONFIRMED VOLUME OF 116,647 CONTRACTS EQUATES TO 583 MILLION OZ OF SILVER OR 83% OF ANNUAL GLOBAL PRODUCTION OF SILVER EX CHINA EX RUSSIA). IN OUR HEARINGS THE COMMISSIONERS STRESSED THAT THE OPEN INTEREST SHOULD BE AROUND 3% OF THE MARKET. 1. Central Fund of Canada: traded at Negative 6.5 percent to NAV usa funds and Negative 6.6% to NAV for Cdn funds!!!! Note: Sprott silver trust back into POSITIVE territory at +0.20 /Sprott physical gold trust is back into NEGATIVE/ territory at -0.71%/Central fund of Canada’s is still in jail but being rescued by Sprott. *LAST 125 TRADING DAYS: A NET 33.96 TONNES HAVE NOW BEEN ADDED INTO GLD INVENTORY. *FROM FEB 1/2017: A NET 47.30 TONNES HAVE BEEN ADDED. At 3:30 pm est we receive the COT report which gives us position levels of our major players. Once we knew that longs receive a cash bonus plus a future contract (probably a London forward) the value of these COT reports are zero. those large specs that have been short in gold added 2969 contracts to their short side. those commercials that have been short in gold covered 7943 contracts from their short side. those small specs that have been short in gold added 352 contracts to their short side. those large specs that have been short in silver added a whopping 9018 contracts to their short side???? those commercials that have been short in silver covered 7943 contracts from their short side. those small specs that have been short in silver added 352 contracts to their short side. “This” being America’s woefully underfunded pension liabilities, according to Karen Friedman. She’s the executive vice president of the Pension Rights Center. According to data supplied by the Federal Reserve, pensions — public and private combined — were roughly 27% underfunded at the end of last year. The issue, approached from any direction, is an impossible knot… a tar pit… a minotaur’s maze of blind alleys and dead ends. How has the American pension come to such an estate? Most public pension systems were built upon the sunny assumption that their investments will yield a handsome 7.5% annual return. The average public pension plan returned just 1.5% last year. Last year marked the second consecutive year that plans undershot the 7.5% return rate, according to Governing magazine. The same plans worked an average gain of 2–4% in 2015. Briefly turn your attention to the Golden State, for example. California. State pensions are only in funds to meet 65% of their promised benefits. And California pins its hopes on that golden annual 7.5% return to make the shortage good. But it’s in a devil of a fine fix if the average public pension plan only returns 1.5%. The math is the math. California essentially depends on returns 400% above the norm, according to financial analyst Larry Edelson. But California is by no means alone. We won’t run the entire roll call of shame. But the great state of Illinois, for one, risks sinking into a $130 billion “death spiral” from its unfunded pension liabilities, as Ted Dabrowski of the Illinois Policy Institute described it. S&P Global Ratings has even threatened to downgrade the state’s credit score to “junk” status. New Jersey, Connecticut, Massachusetts and Kentucky are also among the worst deadbeats. But the problems run from ocean to ocean and south to north. For many states and municipalities, exposure to unfunded pension liabilities is already at or near all-time highs. Since cost burdens are already expected to further increase, pension fund investment performance is critical for the credit quality of many governments. Not even a “best case” cumulative 25% investment return on public pension plans would stanch the blood flow, according to Moody’s. They say that best-case 25% would merely reduce pension liabilities a slender 1% through 2019 due to weak contributions and poor past investment returns. Ah, but have another guess — at least if you swear off your taxes in these United States. Is it your belief that governments will let their prized public pension plans flop? There are votes to consider, after all. Jilted pensioners are capable of generating a good deal of hullabaloo, hullabaloo to which the official ear is exquisitely attuned. Besides, do you think kind Uncle Samuel will turn the politically strategic states of California and Illinois out on their ears? Your tax bill could explode as governments around the country seek to bail out insolvent pension plans. And you know how much politicians like to use your tax money to bail out some constituent. They like to prove their “compassion” with your money! “Expect to pay higher state and local taxes for fewer services in the years to come,” adds Larry Edelson, before mentioned. We would have to agree. You shouldn’t be surprised in the least. And we can scarcely imagine the holy hell that would follow another financial crisis. Illinois Gov. Bruce Rauner warns the state’s pension crisis is driving his beloved Land of Lincoln into “banana republic” territory. Can you imagine comparing the venerable, eminently worthy banana republic… to Illinois? 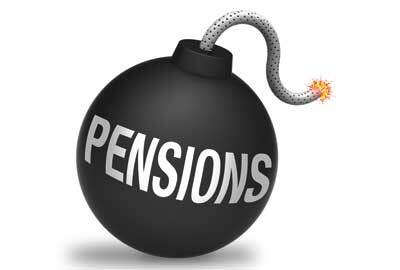 The pension crisis is truly “America’s silent crisis” and indeed the world’s silent crisis. A Toronto-listed mining company is claiming $4.4 billion in damages from Romania at the World Bank’s arbitration tribunal, accusing Bucharest of unfairly blocking its $2 billion project to create one of Europe’s biggest gold mines and expropriating its assets. Gabriel Resources won a licence in 1999 to exploit the Rosia Montana gold and silver deposits in Transylvania, but was never granted the necessary permits. The company says it has complied with all necessary Romanian and European Union legal requirements. Environmental groups and local campaign groups have fought a bitter battle against the mining plan, saying it would destroy a region of natural beauty and damage historic mine workings dating from Roman times. 3b Japan 10 year bond yield: RISES TO +.086%/ !!!! (Japan buying 100% of bond issuance)/Japanese yen vs usa cross now at 110.06/ THIS IS TROUBLESOME AS BANK OF JAPAN IS RUNNING OUT OF BONDS TO BUY./JAPAN 10 YR YIELD FINALLY IN THE POSITIVE/BANK OF JAPAN LOSING CONTROL OF THEIR YIELD CURVE AS THEY PURCHASE ALL BONDS TO GET TO ZERO RATE!! 3j Greek 10 year bond yield RISES to : 5.44??? 30 SNB (Swiss National Bank) still intervening again in the markets driving down the SF. It is not working: USA/SF this morning 0.9585 as the Swiss Franc is still rising against most currencies. Euro vs SF is 1.0933 well above the floor set by the Swiss Finance Minister. Thomas Jordan, chief of the Swiss National Bank continues to purchase euros trying to lower value of the Swiss Franc. S&P futures rebounded shortly after the stronger than expected European CPI print, rising 0.3% to 2,426, as markets try to forget all about yesterday’s brief 50% VIX surge and tech rout, which trimmed the seventh consecutive quarterly gain for the S&P 500 Index to 2.4%. Europe shares rose 0.4%, led by tech stocks, after a drop in Asian markets, as oil and the dollar gained. The action this week however, yesterday’s equity fireworks notwithstanding, has been in dollar and bonds, where as Bloomberg says this morning, the “carnage has paused for a breather“ with Treasuries steady after yields across the globe rose this week as central bankers shifted toward a more hawkish tone while the dollar gained against most G10 peers, paring its worst weekly loss in six. Putting the dollar’s quarterly performance in context, it is down -4.8% in Q2, its worst quarterly performance since 2010. Market skepticism remains over the Fed’s dots and tightening intentions, the recent 22 bps of curve flattening, and what the ECB may do next. “Obviously there’s a shift afoot. It really seems that there’s some coordinated effort going on out here among the G10 central banks,” said Stephen Innes, head of trading in Asia-Pacific for OANDA in Singapore, referring to the series of hawkish-sounding comments on monetary policy. The euro came off yearly highs on Friday but was still set for its strongest quarter in six years as investors pile into the currency on a brightening euro zone economy and its implications for monetary policy in the bloc. The single currency dropped 0.2% to trade at $1.1403, but in the April-June quarter the euro has climbed over 7%, putting it on track for its biggest quarterly gain since January-March 2011. The euro shot to one-year highs after Tuesday’s speech by European Central Bank President Mario Draghi bolstered expectations that a reduction in stimulus measures would be signaled as soon as September. Though policymakers looked to play this down in the days that followed, investors appear convinced that economic strength will push them to end stimulus sooner rather than later. “This is partly a response to Draghi’s comments and also on the back of a euro zone economy that is firing on all cylinders and outperforming the rest of the developed economies,” said Investec economist Victoria Clarke. “It’s at a different stage in the cycle as the U.S. so I do expect some of that to cool in the second half of the year, but the growth momentum doesn’t seem to be going anywhere,” said Clarke. Volatility, absent for much of the year, made a brief, violent return as the debate on normalizing central bank policy intensified after nine years of unprecedented stimulus. That suggests some investors are growing concerned about the economy’s ability to withstand a tightening cycle. Technology stocks have been under pressure this week, while banks have been supported on the prospect for higher rates. Overnight, the MSCI All-Country World Index slipped 0.1 percent. The gauge is up 10 percent for the six months, the best start to a year since 1998. The MSCI Asia Pacific Index has gained 15 percent for the past two quarters. The MSCI Asia-Pacific shares ex-Japan fell 0.7%, after hitting a two-year high on Thursday. It is up 5.3% for the quarter and has risen 18.3% this year. In Europe, the Stoxx 600 stocks index rebounded, parding its fourth straight weekly loss, and on track to end the quarter little changed as gains in technology and consumer shares offset losses in chemical makers. Bayer AG fell 4.3% as it expects an earnings hit from its Brazilian crop science business. In Asia, stocks retreated amid Wall Street tech weakness: Nikkei closed 0.9% % lower, and Japan’s Topix dropped 0.8%, bringing its quarterly gain to 6.6 percent. The ASX 200 dropped 1.7%. Meanwhile, the Yuan rose to strongest against dollar since November, although it gave up all gains and traded unchanged by the close of trade. The PBOC skipped liquidity operations for a 6th day, draining net 160 billion yuan, its 8th consecutive liquidity drain, and despite the stronger than expected Chinese PMI prints, analysts are starting to wonder if the PBOC isn’t overdoing its latest tightening move. In Asia, Australian sovereign bonds sharply lower; 10-year yield jumps as much as nine basis points to 2.59% before finding resistance; Aussie breaks above 77 cents following strong Chinese PMI. Futures on the S&P 500 Index rose 0.3% as US traders walked in, having spoent most of the overnight session unchanged. The cash index fell 0.9% on Thursday, the most since May 17 as the VIX briefly surged more than 50% as a result of what some suggested was a risk parity fund unwind. the S&P remains 2.4% higher this quarter. The euro fell 0.3 percent to $1.1407, after increasing 0.6 percent on Thursday to the highest levels since last year’s Brexit vote. It’s gained 7.1 percent this quarter. The pound dropped 0.2 percent to $1.2985, snapping seven days of gains. The currency is up 2.5 percent this quarter. The yen fell 0.2 percent to 112 per dollar. The Bloomberg Dollar Spot Index rose 0.1 percent, heading for a monthly loss of 1.3 percent. It’s poised for a fourth month of losses. Crude futures rose for a seventh day, up 0.9% to $45.34, and on course for the longest run of gains this year, as signs of slipping U.S. supply eased pressure on OPEC-led curbs. Gold fell 0.1 percent to $1,244.09 an ounce. The precious metal is heading toward its first monthly decline this year. Dalian iron ore slips 1.7% despite stronger than expected Chinese PMI data. The yield on 10-year Treasuries added one basis points to 2.28 percent. The rate has climbed 14 basis points this week. Benchmark yields in the U.K. were little changed at 1.24 percent, as were French yields at 0.8 percent. Yields in Germany fell one basis point. Looking ahead, highlights include US PCE and Baker Hughes rig count. In Asia, stocks traded in a sea of red amid month-, quarter- and half-year end flows, as well as a negative lead from US where tech underperformed. ASX 200 (-1.4%) and Nikkei 225 (-1.2%) were broadly pressured from the open with the latter suffering from a firmer JPY, while Japanese CPI and Unemployment data also left much to be desired. Elsewhere, Shanghai Comp. (+0.07%) and Hang Seng (-0.7%) brushed aside the better than expected Chinese Official Manufacturing PMI and adhered to the downbeat tone after the PBoC continued to refrain from liquidity operations. Finally, 10yr JGBs traded lower despite the risk averse tone, as Japanese yields tracked their global counterparts higher in the wake of the recent hawkish tone from European central bankers. Furthermore, the BoJ were also in the market today, although its Rinban announcement was for a relatively reserved JPY 475b1n of JGBs. In Europe, the historic, frantic trade on the last day of the month, quarter and half, has been far from visible today, with local bourses trading subdued. Much of the volatility was seen through the US and Asian sessions, however, a dip was seen in the open; with bank buying not enough to offset falls for commodity and health care related sectors. The healthcare sector has been weighed upon by Bayer having fallen 5%, after reporting that they see a negative earnings impact from its Brazilian crop science business — seeing its FY17 one time effect of EUR 300 — 400mln. Gilts have been the noticeable paper to watch this morning, down to a new low around 125.15, looking towards March’s 124.42 low, a key yield is approaching in the cash, with 1.30% the next to lookout for. Bunds also have edged lower, breaking below 162, however, with no real conviction. Psychological cash yield levels seem to be the theme, with 0.50% approaching in the cash. In currencies, a cautious start to the last day of trading for June, and H1, but extreme USD weakness has been modestly tamed, with EUR/USD backing off the mid 1.1400’s, while Cable is back under 1.3000. Both key pairs, which have rallied on hawkish twists to the respective central bank outlooks, and as such, remain well placed to retest the highs later on today if the US data comes out weak again. EUR/GBP usually sees some month end pressure to the upside, but there has been little evidence of this in the last few days, remaining on the heavy side and below the 0.8800 mark also. It could be a busy one for the CAD also, as the April GDP numbers could put some fresh light on the optimism going through at the present time. Against this is the level of appreciation seen in the time frame achieved, and to this end, we continue to eye support levels ahead of 1.2900 as sub 1.3000 levels suggest the market is still ready to probe lower. In commodities, heading into month end, it could be a busy day for the USD as the day wears on, but a number of factors seen impacting on the leading assets this morning. For metals, the better than expected China PMIs will add to the support which has seen Copper testing USD2.70, but through this level, prices are certainly looking heavy. Iron ore is the lead based on the China story, and as long as this holds up, better levels will be maintained. WTI continues to probe levels through USD45.0, but tech based resistance continues to contain trade, with sellers still looking for better levels to fade strength based on US production levels. Output has decreased according to the report this week from the DoE, so the bid tone looks comfortable for now. Gold and Silver are trading extremely tight ranges, but we see the yellow metal looking vulnerable at present, and if the USD manages to recover a little more ground into the weekend, then we could be set for a retest of the early Monday lows seen in brief, but sharp hit in thin volumes. We hit lows just under USD1237.00 at the time. Looking at the day ahead, we are due to get the May personal spending and income reports, along with the PCE core and deflator readings. The Chicago PMI for June will also be released before we end the day with the final revision to the University of Michigan consumer sentiment reading. Away from the data, given all the focus this week it’s probably worth keeping an eye on scheduled comments due from the ECB’s Lautenschlaeger (at 11.30am BST) and Coeure (at 1.00pm BST). Welcome to the last day of June and with it, the halfway point for the year. For the most part in 2017 we have agonised about the lack of volatility in markets. In fact it was probably one of the dullest starts to a year that we can remember when you consider how low various measures of asset class vol got relative to history. Just as it looked like we may be heading into the dog days of summer in a similar vein, this week the cast of hawks which descended on the village of Sintra have certainly sparked a bit of life back into markets. Indeed as investors debate the various snippets of forward guidance thrown up the ECB, BoE and BoC in the last few days, in addition to a Fed which is in a gradual tightening phase, bond markets this week having been running to stand still on the path to normalization. In a year of super low vol it could well be that we look back on this week at the end of the year as the one in which the tide finally turned. In markets the last 24 hours has been all about the continued sell off for European bonds. We thought it would be worth taking stock and we’ve detailed some of the moves here with the first number in brackets being the change in basis points over the last 24 hours and the second number being the change versus last Friday. As you’ll see, the magnitude of the moves has also seen a number of markets hit fresh multi-month highs in yield. In no particular order, these are the moves for 10y maturities; Bunds (+8.3, +19.7) to 0.450% and the highest since March 21st, OATs (+8.9, +19.9) to 0.803% and the highest since May 24th, Gilts (+9.5, +21.9) to 1.250% and the highest since February 16th, BTPs (+12.1, +23.3) to 2.145% and the highest since June 8th. Treasuries have also been swept up by the moves on the continent and are up +12.4bps this week (and +3.9bps yesterday) at 2.267% and the highest since May 23rd. We’ve also seen the 2s10s Treasury spread steepen nearly 10bps this week to 89bps and is currently on course for its first steepening over the course of a week since the five days ending May 5th. It’s worth noting also that the 10y Treasury-Bund spread is at the tightest (182bps) since Trump was elected. It had gotten as wide as 236bps at one stage (the widest since 1989). That narrowing probably also says something about the disappointment in the lack of progress on Trump’s proposed reforms including the lack of support for the healthcare bill this week. It’s not just been rates which have seen big moves this week though. The Euro rose another +0.55% yesterday and is up +2.21% since Friday and at the highest (1.1441) since April last year. Meanwhile risk assets have also been hit although that seems to mostly be to do with the continued sell-off across the tech sector. The S&P 500 made another u-turn yesterday by falling -0.86% and is down -0.76% for the week now. The Nasdaq tumbled -1.44% and is down -1.93% over the week which is the worst weekly performance since December last year. The VIX also briefly surged above 15.00 yesterday which is the highest in over a month while the VXN (Nasdaq Vol) closed at the highest (18.43) since November last year. As you might expect however with a rising rate environment, and also the overall positive read through from the Fed’s stress test this week, US Banks (+1.84% yesterday) have rallied +5.34% this week. Meanwhile in Europe the Stoxx 600 tumbled -1.34% yesterday and is down -1.80% this week. There wasn’t necessarily any new news to trigger yesterday’s big sell off for bonds. A higher than expected CPI print in Germany for June (+0.2% mom vs. 0.0% expected) has raised hopes for a better than expected Euro area reading today (consensus is for +1.2% yoy headline and +1.0% core). It’s worth noting that we will also receive PCE data in the US while this morning we’ve already had CPI data out of Japan (more on that shortly) – so a good day to test the inflation pulse. It’s worth also noting that Oil (+0.42% yesterday) has quietly gone about rising for the last six sessions while Iron Ore is also now back into a bull market having bounced 20% from the June lows. So the commodity complex is showing signs of rallying off the recent lows. Meanwhile the BoE’s Haldane also continued his hawkish rhetoric by saying that “we need to look seriously at the possibility of raising interest rates” after citing concerns about the rising cost of living in the UK. Coming back to the ECB, yesterday DB’s Mark Wall published a report in which he reflects on Draghi’s comments. Mark writes that Draghi’s hawkish turn this week came against the run of data and events – weaker PMI, lower oil prices, higher euro exchange rate, etc. However, the tone was at least more consistent with the decision to ax rates guidance, less risky given the easing in euro area financial conditions since the French election and — over the entirety of the speech — more balanced and conditional than the headlines suggest. The strategy seems to be to talk some confidence into the perception of inflation. The impact has been to tighten financial conditions. Mark goes on to say that after the dovish June Council meeting, we changed our call to a “slow and extend” decision by December. “Slow and extend” still feels appropriate, all the more so with the euro having risen further. But having effectively opened Pandora’s Box with the first formal admission of exit, clarification and transparency is more urgent. Our baseline is now to expect the “slow and extend” QE decision in September. Mark also highlights that the Euro could act as a self-correcting mechanism on exit and in the note attached details some scenarios to help judge the limits of Euro appreciation. You can find more here. To Asia now where before we look at how markets are finishing the week, there’s been a bit of data to dig through. First up is China where the manufacturing PMI for June came in at a better than expected 51.7 (vs. 51.0 expected), up 0.5pts from May. New orders and output sub-indices were both reported as rising. The non-manufacturing PMI also rose 0.4pts to 54.9. Meanwhile in Japan the latest inflation data for May was a fraction softer than expected. Headline CPI held steady +0.4% yoy (vs. +0.5% expected) while the core-core also held steady at 0.0% yoy (vs. +0.1% expected). The core did however rise one-tenth to +0.4%, as expected. In terms of markets, equity bourses in Asia have mostly tracked the losses on Wall Street and Europe yesterday. The Nikkei (-1.09%), Hang Seng (-0.91%), ASX (-1.40%), Shanghai Comp (-0.26%) and Kospi (-0.43%) are all weaker to end the week. Sovereign bond markets have also continued to sell with yields across the region between 2bps and 9bps higher. US equity futures are little changed. Moving on. Once again, yesterday’s US economic data was left in the shadows a bit. The third and final Q1 GDP reading was revised up two tenths to +1.4% qoq saar with final sales being revised up four-tenths to +2.6%. A stronger estimate of consumer spending appeared to be the driver of the upward revision. The core PCE was revised down one-tenth to +2.0% qoq saar. The only other data in the US was the latest weekly initial jobless claims reading which came in at 244k and up 2k relative to the prior week. The other data of note in Europe yesterday included the European Commission’s economic sentiment reading for June which rose 1.3pts to 111.1 (vs. 109.5 expected) and a new 10-year high. In the UK mortgage approvals were little changed in May. Looking at the day ahead, it looks set to be a fairly busy end to the week with a number of important releases due up. First up will be retail sales in Germany, shortly followed by the flash June CPI report in France. Following that we’ll get the latest unemployment reading in Germany and then the final revisions to Q1 GDP in the UK. After that, all eyes turn to the aforementioned CPI report for the Euro area. This afternoon in the US we are due to get the May personal spending and income reports, along with the PCE core and deflator readings. The Chicago PMI for June will also be released before we end the day with the final revision to the University of Michigan consumer sentiment reading. Away from the data, given all the focus this week it’s probably worth keeping an eye on scheduled comments due from the ECB’s Lautenschlaeger (at 11.30am BST) and Coeure (at 1.00pm BST). Validating the recent surge in iron ore, which has jumped more than 18% from 2017 lows hit just two weeks ago on speculation the PBOC may be willing to flirt with another round of inflation, overnight Beijing reported an unexpectedly strong bounce in its manufacturing and service sectors. China’s NBS June manufacturing PMI came in at 51.7 for June, above both the previous reading of 51.2 and expectations of a 51 print, remaining comfortably above the 50-point expansion line. This was the second highest level of 2017, on the back of improving market sentiment and industrial upgrading, according to an NBS statement posted on its website, despite an ongoing troubling contraction in the employment subindex. Unlike the Caixin PMI, the official index tracks mostly larger, state-owned enterprises. The production sub-index went up to 54.4 in June, higher than 53.4 in May. The new order sub-index also increased to 53.1 in June from 52.3 in May. The employment index slightly declined to 49.0 in June, from 49.4 in May. Both inflation indicators were higher, as the input prices index rose to 50.4 from 49.5 in May, and the output price index rebounded to 49.1 from 47.6 in May after three consecutive months of decline. Trade indicators were stronger: Both the new export order index and the import index increased by more than 1.0 pt, reaching 52.0 and 51.2 respectively. Raw material inventory inched up (to 48.6 vs. 48.5 in May) but finished goods inventory declined (to 46.3 vs. 46.6 in May). The suppliers’ delivery times suggested longer delivery times (which imply better demand conditions) – it fell for a third consecutive month in June, from 50.2 in May to 49.9. Separately, the official non-manufacturing PMI (comprised of the service and construction sectors at roughly 80%/20% weights) also surprised to the upside, rising to 54.9 in June from 54.5 in May. Services PMI rose to 53.8 from 53.5 in May, while construction PMI climbed to 61.4 from 60.4 in May. As Bloomberg notes, economic activity this year has so far proven more resilient than expected – likely on the heels of the loan explosion at the start of the year which has since been tapered alongside China’s shadow banking crunch – giving policy makers time to focus on reining in financial risks and cooling a frothy property sector. Firmer global trade is boosting corporate profits and hiring, easing fears – for now – that efforts to cut excessive financial borrowing could derail the government’s target of 6.5% expansion in output. Companies are assuming that curbs on excess leverage and the property sector will be transient this year, as the Communist Party won’t allow much economic pain before the leadership transition in the fall, according to a report published by research firm CBB International this week. Goldman adds that judging from the NBS PMIs, June activity growth appeared to be healthy, however it adds that one caveat is that China’s mfg PMI trends seem to be at least slightly distorted by prices – thus the increase in output prices in June might have flattered somewhat the pickup in the headline PMI reading. The Caixin manufacturing PMI release next Monday will give another early gauge of activity momentum in June. One day after the US announced it would sell $1.42 billion in weapons to China’s offshore nemesis Taiwan, Beijing lashed out at the United States, saying it was “outraged” and demanded the US revoke immediately its “wrong decision”, saying it contradicted a “consensus” President Xi Jinping reached with his counterpart, Donald Trump, in talks in April in Florida. The sales would send a very wrong message to “Taiwan independence” forces, China’s embassy in Washington said in a statement. A U.S. State Department spokeswoman said on Thursday the administration had told Congress of seven proposed sales to Taiwan, the first under the Trump administration. “The Chinese government and Chinese people have every right to be outraged,” the embassy said. Besides token bluster, however, this time China also warned that Trump’s action was counter to the agreement reached with Xi in Palm Beach, suggesting retaliation will likely be imminent. “The wrong move of the U.S. side runs counter to the consensus reached by the two presidents in and the positive development momentum of the China-U.S. relationship,” the embassy said. This was the second major diplomatic escalation between the US and China in just the past 24 hours, with the US announcing late yesterday the first sanction imposed on Chinese entities for ties with North Korea, a move which likewise was slammed by the Chinese press. As a reminder, one of Trump’s initial diplomatic snafus was to implicitly recognize Taiwan when he spoke over the phone with its president Tsai Ing-wen shortly after the election, in the process infuriating Beijing. China regards Taiwan as a wayward province and has never renounced the use of force to bring it under its control. China’s Nationalists fled to the island after losing the civil war with China’s Communists in 1949. The United States is the sole arms supplier to Taiwan. In the meantime, China’s Defense Ministry said Taiwan was the “most important, most sensitive core issue in Sino-U.S. ties”, warning the United States to end such sales to avoid further damaging peace and stability in the Taiwan Strait. Trump’s relationship with China has been quite complex: Trump was initially critical of China during his successful 2016 presidential campaign but his meeting at his Mar-a-Lago resort in Florida with Xi raised hopes for warmer relations. Trump later played up his personal relationship with Xi, calling him a “good man”, and stressed the need for China’s help in reining in a defiant North Korea’s development of nuclear weapons and missiles. And now, according to the latest report, Trump is allegedly preparing to go back to square 1 and unleash trade war on China and others. As Reuters notes, China’s anger over the U.S. plan to supply Taiwan with weapons risks undermining Trump’s attempts to press China to help on North Korea. Beijing’s relationship with Taiwan has been frosty since President Tsai Ing-wen took power in Taipei last year. Tsai leads an independence-leaning party that refuses to recognized Beijing’s “one China” policy. “But we should still continue to instruct (them) and continue advancing on the right track of China-U.S. relations because this is what truly fits for both countries’ long term interests,” the paper quoted Cui as saying. The sales, which require congressional approval, would be the first since a $1.83 billion sale that former President Barack Obama announced in December 2015, also to China’s dismay. The previous package included two navy frigates in addition to anti-tank missiles and amphibious attack vehicles. Trump is expected to meet and perhaps chat with Xi Jinping during next week’s G-20 meeting. Since Putin will also be present, and will meet with the US president, there will be plenty of drama. After this week’s hawkish central banker whirlwind, traders and analysts were keenly looking forward to today’s Eurozone June inflation print to see if it would validate Draghi’s unexpected hawkish pivot; the data was released on Friday morning by Eurostat, and while dropping from May’s 1.4% headline print to 1.3%, it beat the 1.2% consensus expectations, rising 1.3%. The core print of 1.1% excl. energy, food, alcohol and tobacco likewise beat estimates of 1.0%, and was above May’s 0.9%. Looking at the main headline components, energy posted a sharp decline, rising at 1.9%, compared with 4.5% in May, followed by services (1.6%, compared with 1.3% in May), food, alcohol & tobacco, 1.4%, compared with 1.5% in May, while non-energy industrial goods rose 0.4%, compared with 0.3% in May. And yet despite the upside surprise relative to expectations,the Euro – at least according to Citi – appears disappointed. As Citi’s Rui Dint notes, the EURUSD is ticking slightly lower on the release of the overall Eurozone inflation print – despite a small upside beat, and asks – why isn’t EUR higher? After German CPI on Thursday beat by 0.2% points at 1.5% YoY, market positioning seems to have adjusted slightly into today’s data print for a similar upside surprise. Such a print would also increase expectations that the ECB will remove accommodative monetary policy sooner than later, especially in the light of Draghi’s willingness to look through weak inflation on Tuesday. However this did not transpire and put together with the fact that the headline print is a YTD low, EUR isn’t trading higher on the data print. EURUSD currently trades around 1.1400 between decent levels on either side – 1.1375-50 is the immediate area to watch on the downside. The kneejerk reaction, however, was clearly lower, suggesting the CPI whisper number was higher. In summary: the inflation print was neither too hot nor too cold to demolish any potential, if only near-term, hawkish relent by Draghi. This is incredibly important because Qatar shares its major natural gas reserve with Iran, and Iran also conducts its oil-related business dealswith China in Yuan. Shortly after the nuclear accord reached in 2015, the Islamic Republic sought to capitalize on these economic opportunities by ramping up production on their share of the Iran-Qatari gas reserve. In November 2016, Iran signed a deal with France’s Total, a multinational integrated oil and gas company, to develop this project. Iran is expected to surpass Qatar’s gas production by next year, and Qatar was left with little choice but to join the venture. It lifted a self-imposed ban on developing the gas field in April of this year. The U.S. Federal Reserve has already increased interest rates several times, most recently in June, with promises to do much more. Rate hikes pose a problem for the oil industry, which has used debt to underpin a drilling boom across the U.S. shale patch. Higher rates could raise the cost of drilling. But low oil prices, and few prospects for a strong rebound in the near-term – and possibly even the medium- and long-term – undercut the rationale for higher rates. After all, inflation is soft, and low commodity prices have a lot to do with that. In fact, the decline of oil prices this year has led to even lower inflation than expected, not just in the U.S., but also in Europe. The Fed has insisted that weak inflation is “transitory,” but more people are starting to wonder if that is true. “There is now a much bigger chance that there will be an important disinflationary impact from lower oil prices,” Thierry Wizman, global interest rates and currencies strategist for Macquarie, told MarketWatch. With oil prices and broader inflation low, why raise rates? Still, the Fed seems intent on moving forward. And the Bank for International Settlements (BIS), a group of central banks from around the world, urged central banks a few days ago to continue the “great unwinding.” That is, the extraordinary monetary stimulus stemming from the 2008-2009 financial crisis needs to be reined in. Fed chair Janet Yellen has warned about overpriced asset classes, a side effect of loose monetary policy. The hawkish Fed thinks that monetary policy needs to tighten in order to prevent overheating. They aren’t alone. The European Central Bank (EBC) has hinted that it could cut back on its policy of quantitative easing. “The time is approaching when the [Federal Reserve] will no longer be the only major central bank in tightening mode,” BNP Paribas SA wrote in a note to clients. In fact, the prospects of tighter conditions from the EBC led to a sharp selloff in bonds and strengthening of other currencies against the dollar. What does this have to do with oil? A tightening of interest rates could pose problems for the shale industry. The shale boom was underwritten by cheap debt – low interest-rates allowed anyone and everyone to drill, with companies rolling over debt each year to keep the drilling frenzy going. According to May 2017 report from Columbia University’s Center on Global Energy Policy, the total debt of 63 shale companies in the U.S. rose fourfold between 2005 and 2015. That wasn’t a problem when oil prices were high. The crash in oil prices pushed more than 100 companies into bankruptcy, mostly small and less efficient ones. But even if the urge to raise interest rates from the central bank is controversial, it seems to be almost a foregone conclusion. So, the shale industry will face rising interest rates at a time when oil prices might be stuck wallowing below $50 per barrel. This is a much more serious problem for smaller companies without the best credit ratings. The oil majors will take the rate hikes in stride, but for smaller drillers, the rate hikes could be a looming threat. Columbia University concludes that a 2 percent increase in the London Interbank Offer Rate (LIBOR) would cause interest expenses for companies with credit ratings between B and CCC- to skyrocket by 30 percent. Part of that has to do with the knock-on increase in credit spreads for these companies. An even grimmer scenario of interest rates rising to 5 percent would ultimately mean that small and medium-sized drillers might only be able to obtain unsecured debt at rates exceeding 10 to 12 percent, Columbia University argues. The upshot is that higher interest expenses would wipe out much of the gains from cost reductions and efficiencies that these shale drillers achieved over the past three years. On top of all of this, higher interest rates have a more obvious effect on oil prices. Higher rates will strengthen the dollar, and since oil is priced in dollars, demand will fall as oil becomes costlier. The result will be downward pressure on prices. The flip side of this, of course, is that monetary tightening from other central banks outside of the U.S. tends to have the opposite effect. In short, the tightening from the Fed poses one more problem for the shale industry at a time when it is fighting hard to stage a rebound. Last week saw US crude production decline by the most since Aug 2016 (perhaps affected by ‘Cindy’) and given the lagged response to WTI prices, many expected the oil rig count to drop this week. As WTI heads for its 7th up-day in a row – the longest streak in 6 months – it is supported as the US oil rig count dropped 2 to 756, the first drop in almost 6 months. We believe that WTI Crude has posted a short term bottom. Previous short term bottoms have typically seen strong upside follow through with an average low to high rally of 22% over three weeks. The present price action on WTI Crude is also very similar to that seen in October/November of last year and in that instance, we saw a rally of nearly 23% in the 3 weeks after the low was posted. We are very focused on the price action seen in October and November of last year where we fell for 5 weeks from a high of $51.93 to a low of $42.20. This time, we also fell for 5 weeks from a high of $52.00 and hit a low of $42.05 last week. We suspect the drop is related to shut-ins from tropical depression Cindy and will recover quickly. It appears President Trump is confident that the Lower 48 will keep pumping as OilPrice.com’s Tsvetana Paraskova reports, to boost American energy exports, the administration of U.S. President DonaldTrump has approved the construction of a new petroleum pipeline from the U.S. to Mexico that “will go right under the wall,” President Trump said on Thursday. As part of the ‘energy week’, which promotes U.S. global leadership and dominance in energy, President Trump announced six initiatives “to propel this new era of American energy dominance,” he said. The first initiative is the U.S. to start reviving and expanding its nuclear energy sector. Next, the Department of the Treasury will address barriers to the financing of highly efficient, overseas coal energy plants, President Trump said, mentioning Ukraine as one of the countries that need coal. The third initiative is the petroleum pipeline to Mexico. The fourth step to growing American relevance in global energy is U.S. Sempra Energy signing a deal to start negotiating sales of more American natural gas to South Korea. The U.S. also approved two long-term applications to export additional natural gas from the Lake Charles LNG terminal in Louisiana, President Trump said, pointing out the fifth initiative. As a sixth initiative, the U.S. is “creating a new offshore oil and gas leasing program” to open up more areas for offshore development, President Trump said. “We will be dominant. We will export American energy all over the world, all around the globe. These energy exports will create countless jobs for our people, and provide true energy security to our friends, partners, and allies all across the globe,” President Trump said in his speech. The U.S. Department of State issued on Thursday three pipeline presidential permits for U.S.-Mexico pipelines. The permit for the New Burgos Pipeline authorizes construction, connection, operation, and maintenance of a new pipeline that has the capacity to deliver up to 108,000 bpd of certain refined petroleum products. The pipeline will cross the U.S.-Mexico border near Peñitas, Texas. “New permits for the existing Dos Laredos and existing Burgos pipelines, which cross the border in Texas near Laredo and Peñitas, respectively, reflect a change in the name of the permit holder and authorize transport of a broader range of petroleum products than under the previous Presidential permits,” the Department of State said. The U.S. Department of Energy announced on Thursday the approval of the two long-term applications to export additional LNG from the Lake Charles LNG Liquefaction Project in Lake Charles, LA. Early FRIDAY morning USA 10 year bond yield: 2.266% !!! UP 0 IN POINTS from THURSDAY night in basis points and it is trading JUST BELOW resistance at 2.27-2.32%. The 30 yr bond yield 2.8177, UP 0 IN BASIS POINTS from THURSDAY night. USA dollar index early FRIDAY morning: 95.76 UP 13 CENT(S) from THURSDAY’s close. the Italian 10 yr bond yield is trading 62 points HIGHER than Spain. VIX jumped back above 11 into the close as Nasdaq went red on the day.. It seems Citi was right after all. With Illinois facing a Friday night deadline by which it has to come up with its first fiscal budget in three years or face a downgrade to junk resulting in what a policymaker called a “death spiral“, another mini drama is taking place in Connecticut, which is also facing big budget problems as wealthy residents, hedge funds and major corporations flee the state’s high taxes and its fiscal future gets murkier by the day. Just today, we reported that Aetna, the insurance giant founded in Hartford where it has been for the past 164 years, announced it would move its headquarters to New York City despite intensive lobbying efforts by Connecticut officials. The move, which followed a departure by GE of its Fairfield HQ of 40 years, is a blow to the company’s hometown, which is facing severe financial problems. Hartford’s problems are a representation of the troubles facing the entire state: while Illinois’ story is familiar, Connecticut has the distinction of the third-worst ratings in the country, only behind Illinois and New Jersey after S&P, Moody’s and Fitch all downgraded the state last month in what officials described as a “call to action” for state leaders. And, just like Illinois (and 14 other states), Connecticut faces a Friday day of reckoning: the state has yet to pass a fiscal 2018 budget by the June 30 deadline. “We must immediately take the necessary steps to mitigate the current year deficit and then balance the … budget with recurring measures to reduce spending and structural solutions to our long-term problems,” a spokesperson for the Connecticut Office of Policy and Management said in response to Moody’s downgrade. It’s not just the rating, however. Connecticut’s deficit has reached $5 billion, and according to an analysis by Pew, the state only has $240 million in its ‘rainy day fund’; just five states have a smaller cushion. Much of the financial troubles are tied to the state’s pension system, which two-term Democratic Gov. Daniel Malloy’s office is seeking to address with a new plan to save the state $24 billion in “coming years.” One solution offered by Malloy is to require new state employees to be covered under a new hybrid pension system. The agreement, which Malloy’s office made with the state union, is tentative and awaiting legislative approval. Fasano serves as the State Senate’s Republican president in conjunction with the Democratic president. This is a special situation, as for the first time in decades, the State Senate is split evenly in the historically blue state. Fasano claimed the budget put forth by Senate Republicans changes taxes and includes structural provisions that would help keep businesses in the state, although if Aetna is any indication, it’s not nearly enough. Those who have already left the state, mostly affluent hedge fund managers who have migrated to Florida, already got the message. And while Aetna’s departure was a hit to the state, the state capital Hartford has been struggling with a financial quagmire of its own, even as we reported in early May, meeting last month to discuss the option of filing bankruptcy. “We know that now more than ever, we are in competition across all industries –not just with Massachusetts or New York state, but more specifically with Boston and New York City,” Malloy said last month. Another problem is the fundamental deterioration in the state’s economy. Connecticut’s unemployment rate rose to 4.9 percent in April, up from 4.5 percent in January. “Keeping those employees in Connecticut is far more important than where Aetna plants its corporate flag,” Malloy said. Malloy is looking to boost jobs with the approval this week to begin construction on the state’s third casino. The Democratic governor remains optimistic, however, and his office told Fox News that companies like Xerox, Sikorsky, and Vineyard Vines, among others, have committed to the state over the last two years. But Fasano said he spoke with GE executives before they left and they cited state financial issues. So will CT pass a state budget? There was some 11th hour hope on Thursday, when AP reported that Connecticut House Democrats said they’ve come up with a two-year budget proposal that could be ready for a vote on July 18. The last minute $40 billion two-year plan would increase the state’s 6.35% sales tax to 6.99% to help maintain funding to cities and towns. It would also provide municipalities with additional ways to generate local revenue and restore the local property tax credit against the personal income tax. The proposal was being offered up Thursday as lawmakers grappled over whether to pass Democratic Gov. Dannel P. Malloy’s three-month, stop-gap budget before the fiscal year ends on Friday. Malloy says it will be less draconian than having him run state government using his limited executive authority. And, of course, there’s disagreement, about whether to vote on the mini budget. If the disagreement is not overcome by Friday, Connecticut could soon be in the same financial straits as Illinois. Incidentally, the muni bond market – with its usual glacial delay – finally noticed that not all is well, and today yields on AAA-rated 10-year muni bonds rose 7 basis points to close at 1.95% , the biggest one day absolute increase since Dec. 15. There was a similar move for 5-year muni bonds which rose 5bps on the day to end at 1.34% now up 10 bps week-to-date, also the largest day-over-day move since December 15. Connecticut isn’t the only state in New England that’s facing a budget showdown today. As Reuters reports, Maine is bracing for a possible partial government shutdown on Friday – what would be the first in the state since 1991 – as Republican Governor Paul LePage has warned he will reject any budget deal that does not cut income taxes. LePage, a second-term Republican who faced national scrutiny and calls to resign earlier this year after making an allegedly racist comment about out-of-state drug dealers worsening the heroin epidemic in Maine, said he would declare a state of civil emergency if a budget is not reached by midnight, which would keep state police, prisons, parks and tax collection services but close most other aspects of state government, according to Reuters. The conflict at the center of the budget showdown is the issue of funding the state’s schools, as Reuters explains. “Legislators are negotiating a roughly $7 billion two-year budget, with the main sticking point being how to fully fund state schools. Voters in November passed a measure imposing a 3 percent income tax on state residents who earn more than $200,000 a year, a measure the governor and statehouse Republicans object to. Concerned about the potential impact of a shutdown, a local advocacy group is preemptively suing the state in federal court, seeking an order that would ensure that public assistance payments continue uninterrupted to the 450,000 people in the state, about one in three residents, who receive them. To be sure, the stakes in Maine’s budget battle aren’t nearly as high as Connecticut’s. The nutmeg state has yet to pass a fiscal 2018 budget, and the deadline is Friday. Connecticut has the distinction of the third-worst ratings in the country, only behind Illinois and New Jersey after S&P, Moody’s and Fitch all downgraded the state last month in what officials described as a “call to action” for state leaders. Connecticut is currently operating with a $5 billion budget deficit, and according to an analysis by Pew, the state only has $240 million in its ‘rainy day fund’; just five states have a smaller cushion. Much of the financial troubles are tied to the state’s pension system, which two-term Democratic Gov. Daniel Malloy’s office is seeking to address with a new plan to save the state $24 billion in “coming years.” One solution offered by Malloy is to require new state employees to be covered under a new hybrid pension system. The agreement, which Malloy’s office made with the state union, is tentative and awaiting legislative approval. Connecticut and Maine aren’t alone; Illinois also faces a Friday budget deadline that, if not met, could result in ratings agencies downgrading the state – which is struggling under the weight of unfunded public employee pensions – to junk status, virtually guaranteeing a debt-fueled death spiral that will likely lead to bankruptcy. The showdown comes as Connecticut’s already narrow tax base has seen some major defections recently as corporations and wealthy hedge funds decamp for states like Florida, which offer lower tax rates, or cities like Boston and New York, which offer a stronger talent pool. Yesterday, we reported that Aetna, the insurance giant founded in Hartford where it has been for the past 164 years, announced it would move its headquarters to New York City despite intensive lobbying efforts by Connecticut officials. That move followed a departure by GE of its Fairfield HQ of 40 years. With Maine looking like it will be the first state to shut down heading into the new fiscal year on Saturday morning and perhaps beating Illinois to the punch, moments ago Connecticut, as previewed last night, will also enter the new fiscal year without a budget, inviting rating agencies to downgrade it to Illinois’ “barely junk” rating or perhaps making CT the first US junk-rated state. Lawmakers and the governor had been unable to reach an agreement on a two-year budget that will cover a projected $5 billion deficit for months, and not even the threat of the new year prompted them to move as we expected. As a result of the failure to pass a budget, AP reports that nonprofit social service agencies that rely on state funds are preparing for deep cuts. Democratic Gov. Dannel P. Malloy, who wanted the General Assembly to at least pass a proposed three-month mini-budget, is expected to reluctantly sign an executive order that maintains only essential state services. Connecticut’s General Assembly failed to pass a version of the state budget on Friday, forcing Democratic Gov. Dannel P. Malloy, who wanted the General Assembly to at least pass a proposed three-month mini-budget, to sign an executive order to take control of state spending, according to the Associated Press. Gian-Carl Casa, president and CEO of Connecticut Community Nonprofit Alliance, says agencies that help people struggling with mental illness to domestic violence are planning to lay-off staff and close programs. The failure is the latest blemish on Malloy’s record. The two-term governor has said he will not seek a third term when is current one is up at the end of 2018. This, more than anything, should send shivers down Wall Street’s spine, because for all his bluster and outrageous media outbursts, Trump had largely been in Wall Street’s pocket so far. Not anymore, and with Trump’s base hell bent on punishing the 1% (which includes Wall Street), if Trump indeed launches global trade war, his future decisions will become increasingly market unfriendly. by tomorrow morning, gold and silver should rise as the options expiry criminal activity ends and will return in full blast during the last week of July. 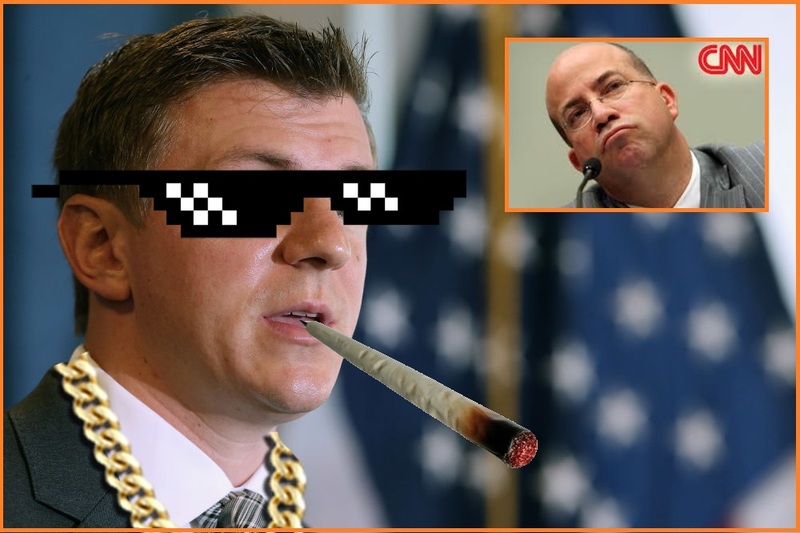 Project Veritas founder James O’Keefe has just capped off a week destroying CNN’s last shred of credibility with a Friday morning release of an undercover encounter with another employee of the beleagured network. 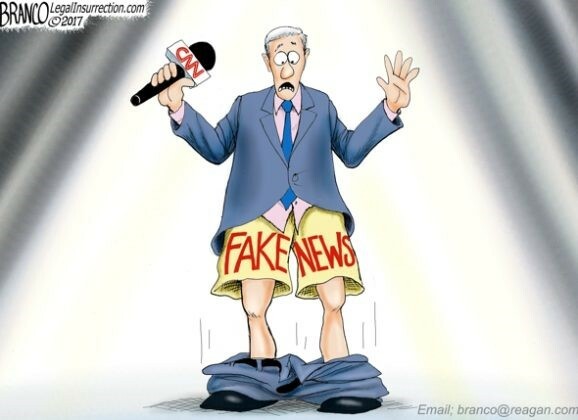 Jimmy Carr, a hate-filled Associate Producer, said that virtually everyone he knows at the network – surprise – absolutely hates President Trump. Undercover footage released earlier in the week dealt devastating blows to the credibility-damaged network whose President, Jeff Zucker, may be on the chopping block if a merger between AT&T and CNN parent company Time Warner is approved. The tweet is notable because it is the polar opposite of what Trump told Paul Ryan shortly after he won the election and shortly before Congress went into session, as Axios reminds us. And, more confusing, part of the reason why the House GOP leadership didn’t run with a clean repeal vote, as they’d done many times under President Obama, was because Trump had made it clear to Ryan he wouldn’t sign the bill. So with a deal seemingly out of the question, Trump is preparing for a Plan B, even if it is with a 6 month delay and 180-degree the opposite of what he pitched at the start of the year. As for the Senate, after originally planning to go ahead with a planned “do or die” vote, McConnell said Wednesday he would delay the vote until after the July 4 recess, as the GOP still lacks the votes. The question now is how will moderates like Maine’s Susan Collins and Alaska’s Lisa Murkowski react to Trump’s plan? Both have raised questions about the revised bill’s cuts to medicare spending in their states, something that would negatively impact chronically ill elderly constituents who tend to vote in larger numbers than younger cohorts of the population. US Real Personal Spending rates disappointed in the US (rising just 0.1% MoM – the weakest since February). While incomes rose slightly more than expected, spending growth was just 0.1% MoM – the weakest since August 2016. Not exactly the signal that everyone is exuberantly buying the Trump trade. Someone or something in Chicago is exuberantly celebrating Trumpmania as the city collapses under a hail of bullets. Beating expectations by 7 standard deviations, June PMI spike to 65.7 – the highest since May 2014. This is the fifth consecutive increase in busines confidence with new orders at their highest since May 2014 and order backlogs spiking to their highest since July 1994. The Employment indicator slipped slightly to 56.6 from 57.1 in May. Panelists were concerned about finding reliable and well qualified workers and there was a rise in temporary hires, a growing job market trend in recent months. Inflationary pressures at the factory gate remained broadly stable after easing for three consecutive months. Panelists reported a continued rise in the price of steel and plastic products, although they mentioned that suppliers were holding off passing through prices increases. How long before they ‘revise’ this farcical print? Soft data U. of Michigan Consumer Confidence slips to 7 month lows..hope fades.. Despite modestly beating expectations, UMich consumer sentiment for June dropped to 95.1 – the lowest since Nov 2016 – led by a collapse in ‘hope’ for the future. Inflation expectations for the medium-term fell very modestly but both short- and medium-term remain near record lows. Personal finance expectations improved in June as did the percentage of Americans expecting higher incomes. However, the percentage of Americans who expect a comfortable retirement dropped notably… and the percentage of Americans who expect the country to have contonuous good times for the next 12 months also tumbled. The survey shows a widening divide between how Americans view the current state of the economy and prospects for a potential extra boost from Congress and the White House, as lawmakers wrangle over health care and taxes. While 51 percent of all consumers reported recent improvement in their finances — the highest share since 2000 — Republicans are becoming less sanguine about the situation in Washington, according to the report. For the first time since the election, a bigger share of consumers expected a downturn in the next five years than an uninterrupted expansion. Even so, the average level of sentiment in the first half was the best in 16 years, which supports the household spending that accounts for 70 percent of the economy. The partisan divide still meant that June’s Sentiment Index of 95.1 was nearly equal to both the average (95.7) between the optimism of Republicans and the pessimism of Democrats and the value for Independents (94.6). Surprisingly, the optimism among Republicans and Independents has largely resisted declines in the past several months despite the decreased likelihood that Trump’s agenda will be passed in 2017. Analyst Lynette Zang from ITM Trading will be the guest for the Early Sunday Release. Zang, who has deep Wall Street experience, contends that another crash is close at hand because the wealthy are exiting the stock and bond markets in droves. Don’t miss it. To all our American friends, a very happy 4th of July holiday to you all.